“If there is one thing that every American understands, it’s that government officials don’t have the right to enter our homes unless they have a warrant or there’s a true emergency.” A quote by the ACLU of Virginia Director, Kent Willis. As many of you are aware, the ACLU sent the city of Chesterfield Virginia a warning letter a few years ago that they may NOT illegally enter a property for a forced rental inspection where the owner OR tenant has told them they don’t want them there. Legally a government official that is not allowed on a property has to take a few minutes to obtain a warrant if the tenant or owner doesn’t consent to the search. 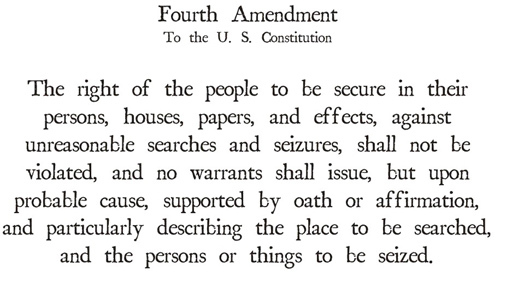 And that warrant will require probable cause that there is likely a hazard of eminent danger within. Roanoke City has been giving landlords criminal charges and fines up to $2,500 for those that have refused entry which has been proven by several lawsuits to be illegal and a violation of the supreme law of the land. 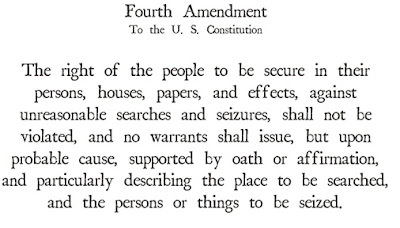 The Supreme Court has held that the Fourth Amendment protects the rights of tenants and owners to refuse warrantless inspections with impunity. Kent Willis of the ACLU adds that “our Constitution demands checks and balances, and the check on code enforcement officials when they want to enter your home is judicial oversight.” The judicial oversight is the judge allowing or disallowing an inspection warrant based on wether there is or isn’t probable cause that there is a serious health or safety related issue within the property. Cities across the country have been trampling on the rights of property owners and tenants and we now have another landmark court decision that took place in Portsmouth, Ohio. Ohio landlords felt that rental inspections required to obtain a rental certificate were a violation of their Fourth Amendment rights due to the mandating of a warrantless inspection of their properties without probable cause that there is a health or safety issue within. US District Court has yet again held rental property inspections to be unconstitutional and supported the rental property owners that filed suit. REI of Virginia was able to obtain the 2 actual court documents that were filed by the Ohio landlords against the City of Portsmouth. Those of you who would like to see the motion for judgements that were filed, send me a request and I will shoot a copy over to you. These motions list several cases throughout the United States where cities have been reprimanded by judges for going beyond their legal bounds. Unfortunately our government here in Roanoke City feels like they are above the law in not only this but several other areas. Even tough they have knowledge of these cases that prove they are overstepping the limitations put on them by the supreme law of the land. That darned constitution just keeps getting in the way of our local regimes desire for a police state governance with complete and total tyranny over the powerless minions. REI of Virginia supports providing a safe and healthy environment for your residents to live in. REI of Virginia also supports the Constitutional rights that all citizens within the United States have. The city is treading on very dangerous ground. They will be lucky if they don’t get faced with a massive Unjust Enrichment lawsuit to get back all of the money they have charged for these unlawful forced warrantless searches dating back to the initiation of the Roanoke City Rental Inspection Program. I hereby request that the Roanoke City Government immediately terminates their unlawful inspection program making it strictly voluntary as it rightfully should be. All citizens have certain unalienable rights that no local government can take away. The entire Roanoke City code enforcement department and commonwealth attorney have been warned that they are breaking the law and have been given references to specific law suits for verification. Continuing to do so will be a clear sign of willingful and intentional neglect of the law which could lead to personal liability issues.